Thanks for the info on the DC5 in Canada. No offense was meant by not commenting on their Canadian releases in my post, which focused on the PBS special and overlooked DC5 tracks. Mike Smith seemed to have had at least as much to do with the band’s musical success as their leader. 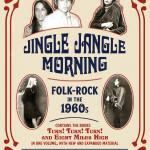 The weirdest part of this very weird documentary was the stuff about the musical TIME! I don’t know anyone who’s heard of it! And Freddie Mercury was in it? And where and when did they get footage of Ian McKellan and Laurence Olivier (who’s been dead for decades!) calling Clark a “genius”?! Hey, I dig the DC5, but this was like being in an alternative universe…. 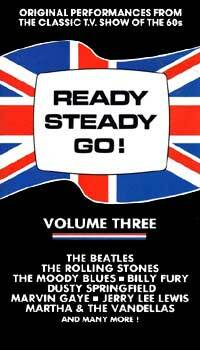 Time did run for a couple of years in London in the late 1980s. 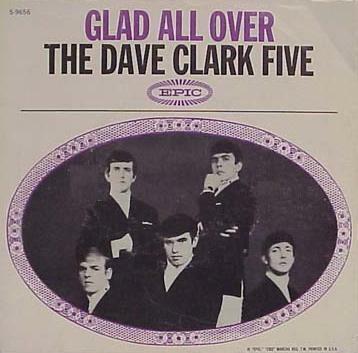 But it’s not as familiar to international audiences (including in the US) as the Dave Clark Five hits, to say the least. And it’s probably not of much or any interest to many of the people watching the documentary. I would bet that the author is the only one who found Tom Hanks’ R&R Hall of Fame induction speech histrionic and obnoxious! His spirited speech was a welcome departure from the usual monotone reading off of a card. He swept up the entire room and showed how a top actor, who is also a fan, can bring excitement as well as nostalgia to the moment. Absofreakinglutely.Hanks was amazing.Made. me laugh thru tears of joy. Uh . . . no. I also found Hanks’s intro gag-worthy. And I thought I was the only one! This commentary appears to have been influenced by a Facebook page for the DC5 which has devoted itself to the vendetta bashing of Dave Clark and believing every word what Ron Ryan has stated there. Know this…there is another side to this story!!! To those commenters who saw Dave as taking advantage of the others, I think it was just that he knew how to sell their product. They were all adequate-to-fair musos, tho a few say Dave was a bit less so, and Mike a bit more than just adequate, but there were and are plenty of good musos around buying their clothes where I get mine – at the op shop. I think you’ve gotta give credit to Dave for their phenomenal success, not just the way he managed them and marketed them, he also had a part in vetting and choosing their material. 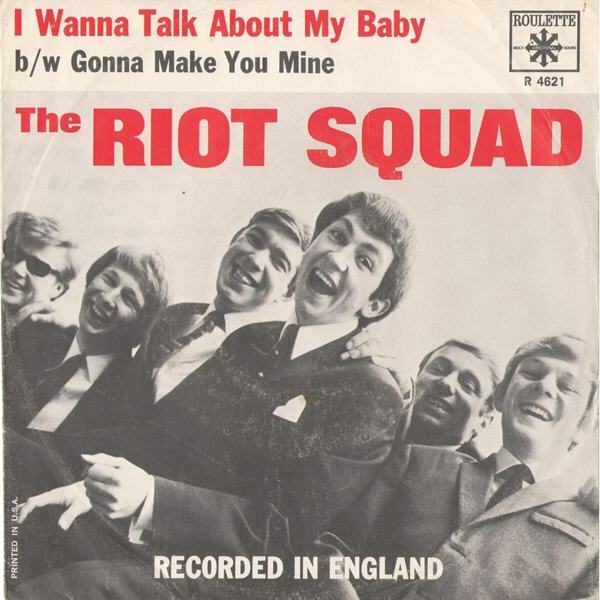 People bag him for dubbing in Bobby Graham’s drumming for Bits’n’Pieces and Glad All Over but it was a stroke of genius, as I’m sure Mike and the others would have agreed. You don’t hear too many unkind things said about Dave by the other 4, they would’ve known it was his drive and organising ability and craftiness, and let’s not forget his good looks and stage presence, that got them to the top. Oh yeah, and Tom Hanks can do NO wrong in my eyes. Awesome HOF presentation. I agree with Casablanca’s remarks–she is exactly right. The documentary was interesting and fun. I agree with others that that Tom Hank’s speech was good and not a run of the mill boring speech. I even actually enjoyed the segments interviews about the musical Time. Thank you PBS for the DC5 documentary. 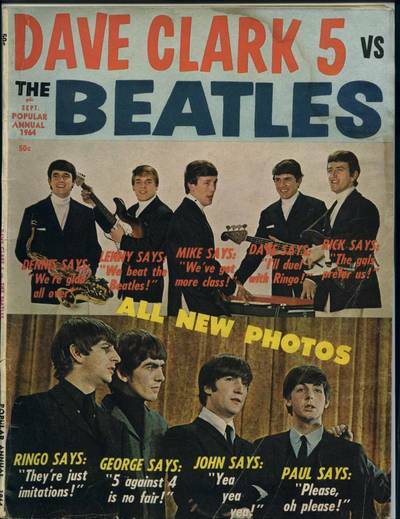 I became a fan of the Dave Clark Five after seeing the show. I want to see more of the DC5 perhaps one of their live concerts. The documentary was well-done, interesting and exciting. 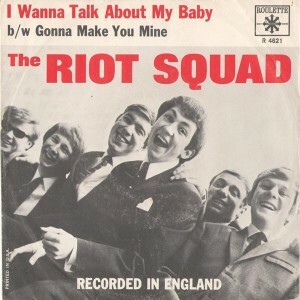 I never knew that this group sounded so incredible in the 60s, better than the Beatles or any of the British invasion groups (my personal opinion and taste). Their music has more depth because of the sax, organ/piano and the heavy drums. 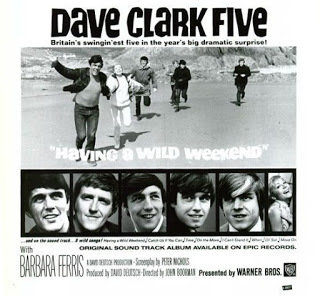 I recently bought my first DC5 CD The History of the Dave Clark Five and the instrumental All Night Long is so good. I normally don’t like instruments but this one is exceptional. I think Dave could have put more materials into the documentary but he had only 2 hours to do it. It is not padded as this author states. I bought the Dave Clark Five: Glad All Over and the 2nd disc has a lot of interesting footage on the DC5. I don’t agree with a lot of the author’s comments who seems to have some kind of vendetta against Dave Clark and is still stuck in the 60s so called rivalry between the Beatles and DC5. He keeps comparing the two groups. Like Dave said in the documentary, they have a different sound. I also don’t agree that Dave is not musical. 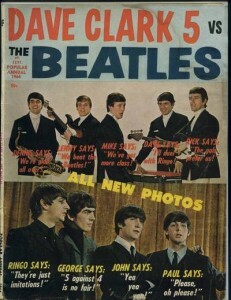 In an interview with Mike Smith he said Dave decided what song went into an album or got released. On Everybody Knows he had all the band members including Dave do individual demos to see which voice suited the song. And the vicious rumor of Dave not being a good drummer or did not play drums in their records is just unbelievable. DC5 was a successful live band before coming to the US and the drummer was Dave. ah, just saw it posted above. oh well, definitely worth the £8 investment. I wonder if those DVDs are authorized. None are listed as available on Amazon, for example. … you wondered why dave would be reluctant to be on camera… well, have you SEEN what he looks like at present? his freakish arched eyebrows alone are among the most curious facial decorations i’ve ever seen. a lot of plastic surgery gone very wrong indeed. I saw this “documentary” the first time it was aired on the Seattle-area PBS station last week (July 2014) and I wanted to scream! Dave Clark had two hours to address the myriad of controversies surrounding the DC5 and instead of providing even a shred of new information he chose a two-hour Dave Clark love fest. What is that man hiding? Methinks it is everything. Mr. Utterberg, I implore you to research and publish the real story of the DC5. Mark, I’m not sure I’m the right person to write a DC5 biography, but I’d certainly like to read one that went deeply into the whole story. As you can see even from the responses to my blog post about the documentary, there are heated differences of opinion about their career. An unfortunate disadvantage is that some of the guys are no longer here to be interviewed and give their perspectives. Kudos to you for raising questions about it. 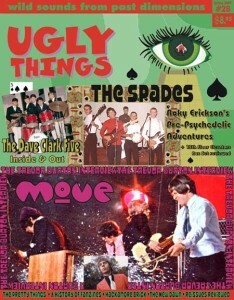 I actually liked the band in the 60s (especially the upfront drumming) but this “documentary” didn’t pass the smell test and led me to do some research on the band. Clark didn’t write — and perform on record — many if not most of the DC5 songs. I can’t respect artists that claim credit for songs they didn’t write. It’s noteworthy that Clark wouldn’t answer questions about it . 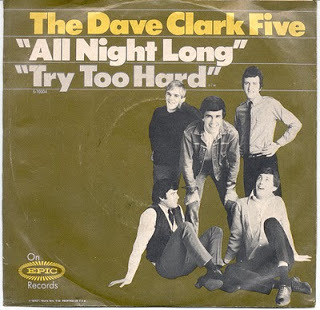 Dave Clark is hard to figure out. He should get credit for developing a band with a sound unlike any other in that era…for apparently having an ear for hit single potential…and for being a very astute businessman. Beyond this, it’s hard to get past the negatives (the control issues, the general ego, etc.). But what offends me most of all about Clark is that he was interviewed years ago for Max Weinberg’s book about rock drummers (“The Big Beat”) and answered specific questions about the drumming on DC 5 records — and gave absolutely no indication that it wasn’t him wielding the sticks. As I was too naive to consider that he could possibly be lying through his teeth in this interview, I used this in evidence in online arguments that Clark MUST have played, and that rumors to the contrary were unfounded. Thanks, Richie, for the informative and well-considered review. Thanks for writing this article. It needed to be written. 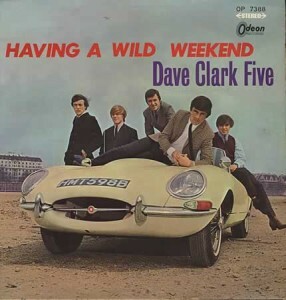 Dave Clark should release true stereo versions of his songs. Thankfully I have almost everything in stereo based on extraordinary vinyl transfers. When he released his mono CDs, I bought them but returned them to the store. It’s the only time I have ever returned a CD. Mike Smith was the star of the group. Dave was a business man who was wise enough to hire an incredible drummer to give their songs the sound that made them. Now that no one is left to refute his “recollections”, Dave can say whatever he wants. Those of us who lived through the time know better, though. 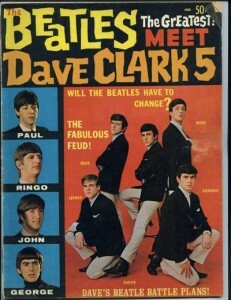 Long live the Dave Clark 5. 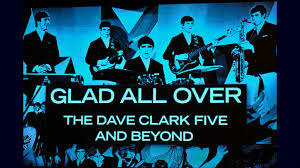 During the movie while talking about WWII there was an alternate version of Glad All Over playing. Sorry, I’d have to see it again to hear that version to see if I can tell. The so-called documentary was designed to get people to send money to PBS. It’s main appeal was to mawkish nostalgia. The DC5 did a crash-and-burn in the US when their backing track failed on a disastrous live Ed Sullivan appearance.